This author was featured prominently in the documentary film, The Business of Being Born. I highly reccommend this film to anyone who plans on giving birth at some point in the future. We watched it twice. However, I do not highly reccommend this memoir. Cara is a competent, energetic midwife. She has a lot to say about her chosen field. She does not have an entire book’s worth of things to say. 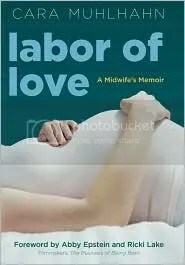 Granted, it is a personal memoir, but this is not a book about her practice – it is about Cara’s life journey, which has very little to do with midwifery and, in my opinion, isn’t terribly interesting. Maybe I’m picky, but I didn’t really want The Cara Muhlhan Story. I wanted A Midwife’s Story. So watch the movie. Read this article. And if you want to read a book about being a midwife, pick up something else. Ann Brashares’s first step into the waters of adult fic… but she’s just dipping her toes, don’t worry. The characters – two sisters and their mutual best summer friend, Paul – are in their early twenties, not too far from the Sisters of Those Traveling Pants which are solidly Young Adult. The book takes place on Fire Island, the summer home of their youth, which puts the focus on their younger selves, relating more Stories Past than Stories Present. This is a book teens would like. This is a book that reminds me SO MUCH of one of my all time favorite reads, Summer Sisters – another “adult” book written by a YA author natch. It is similar in setting – Fire Island vs. The Vineyard – and spirit – themes of innocence, first love, loss, and indelible friendship. This was a good book. But not great. This was everything I could want from a cookbook. I like looking at glossy pictures of fancy meals with expensive ingredients as much as the next girl, but whenever I hunker down and cook one, even one of RachRay’s “30 minute” meals, I end up flustered. It just takes too many trips to the store, too many unexpected difficulties, and Too Much Stress! How am I supposed to cook EVERY DAY? 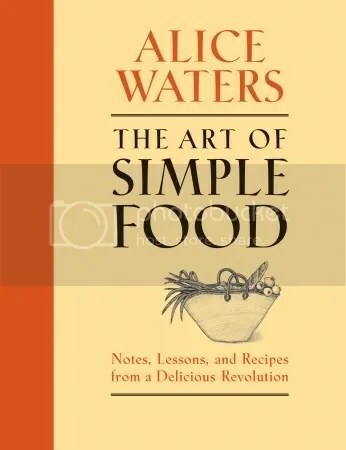 Which is where Alice Waters steps in. The first half of this big-honkin’ book is narrative about different meals and ingredients and preparation methods. The second half is recipes. Easy, delicious-sounding recipes, that are S-I-M-P-L-E. I don’t need to know how to make Spanish-Style Chicken with Crispy Chorizo and Chimichurri. I do need to know how to make a white sauce. How to bake bread that actually rises. How to make kale taste delicious. This seems like an awesome wedding gift. I mean, if I don’t get a copy when I get married, I’ll be pissed. Okay, I probably can’t even wait until that hypothetical day of matrimony. This is the smarter, funnier, more subtle older brother of Spanking Shakespeare (my two cents can be found here). Our narrator, Sutter Keely, is a senior slacker, teen alcoholic with a taste for the ladies. He pals around with his pothead best friend, when he’s not busy sipping on a 7&7 or irritating/sexing his voluptuous girlfriend. There are parties. There is romantic drama. There are teenage hijinks. This is not the stuff of a NBA-Winning Novel. But read on, friends, read on. Underneath Keely’s narrative hides The Truth About The World – that life isn’t as hilarious or forgiving as you want it to be, that nothing can cover up your deep pain, and change is not always possible. The ending broke me in two. This book deserves its award, and a solid A. This is a book for English majors. For literary analysts, for symbol-lovers, for philosophers. I am at least one of those, and I am still having trouble finding what to say about this book. I’ll tell you about the part I liked most. You see, the narrator was researching a book. This is his story about his research on the man who invented the atomic bomb. A story about the writing of another, entirely different story. Weird, right? But the even weirder part is that somewhere during his research, our narrator has found a new religion. He peppers his narrative with the words and practices of Bokonon – a religion which the readers have no concept of other than what is presented on the page. Therefore, the book becomes not just a story about a story, but a story about Religion As A Whole. People As A Whole. Life As A Whole. I didn’t get it. I wanted to get it. I wanted to look up the symbols and the meaning when I was on page 3, because I could tell there would be a lot. I didn’t get it. But I loved it anyway. 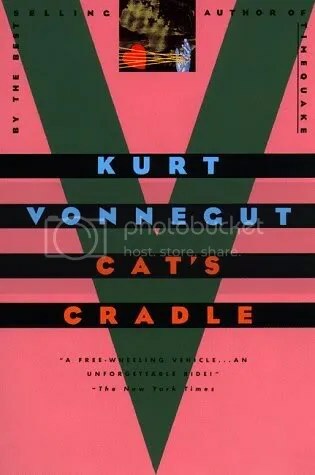 Shouldn’t expect anything less than that from Mr. Vonnegut, right? I love your grading system! *gasp* Sacrilege! Okay, now I’m going to go check your archives for your Jellicoe Road review and if it’s not there you have to explain yourself!